It's not always easy as it seems to maintain a healthy diet while balancing professional and personal life. It is made especially difficult when you’re busy and you don’t have the time to slave away in the kitchen after a tough day at work or minding kids. However, there is the wealth of meal planning and nutrition mobile apps to help you stay healthy. They will hopefully save you some time when preparing meals and allow you to keep better track of your diet. For example, the MealBoard app can recommend meals based on leftover ingredients. This is handy as when there’s not much stuff in your fridge, it can be difficult to concoct meals without help. When we can’t think of anything, we often end up ordering something unhealthy in the takeaway or putting on a frozen pizza in the oven. 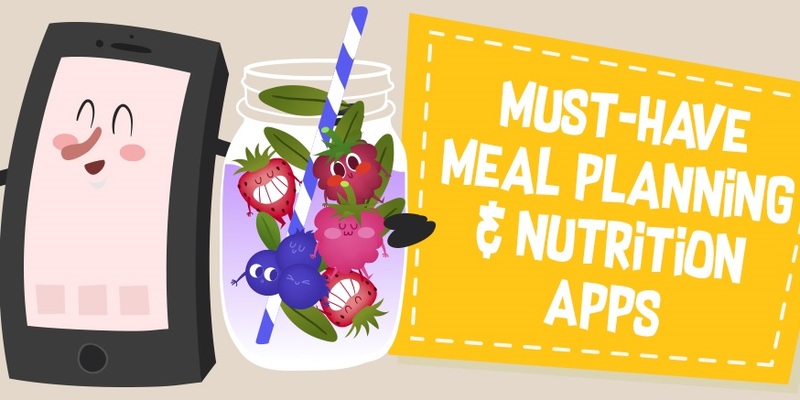 Let the MealBoard app guide you and avoid the unhealthy takeaway meals and save some money! Another really cool app is MyFitnessPal as it puts the focus on both food and exercise. Sometimes you might wonder why you’re not losing weight even when you’ve really cut down the amount of food you’re eating. It can often be that even though you’re eating less, you still lack exercise in your routine. Or some people face situations where they’re exercising a lot but are eating a little bit too much after they exercise. It really is about hitting the right balance and this app should help you do that. Another important factor to monitor is your food intake. Sometimes it can be easy to lose track of what we’ve eaten in a day and what you may think is low on calories, might be packed with them. The app, Lose It!, lets you search the food you’re eating throughout the day to see how many calories are in it. Another good all-around app to have is Fitbit to monitor your daily activities. The cool thing about this app is that you can also take part in challenges with friends to help keep you motivated. Often with these type of apps, you need to download a few of them to see if you like them. Most of them get great reviews so it’s no harm checking to see if they can help you with meal planning and nutrition. Most of them are free anyway so if you find that they’re no use, you can just click the uninstall button! Find out more in the Infographic developed by Lakeshore Convention Centre.